For as long as I can remember, I have loved to read. When I was young I was obsessed with The Baby Sitter’s Club. Every time the book club flyer came home from school, I eagerly ticked that box for the next instalment. I ended up with volumes one to thirty three, as well as a couple of the super specials. I also remember devouring my Mum’s Famous Five books, and although I didn’t keep my BSC books, I still have the FF sitting on my shelf. Of course, as I got older my reading preferences changed. Through high school I didn’t read as much, but when I started college, I had an hour train trip each way five days a week. This was when I discovered Stephen King, and he is still my favourite author. For a while SK was all I would read. I was completely devoted to him, and reading anything else was like cheating on my boyfriend. I couldn’t afford to buy new books (and the eBook wasn’t even invented!) so I relied on my local book exchange for my fix. I could pick up a book from between $1.50 and $3.00 with the option to exchange for half credit. I never exchanged though, I couldn’t bear to part with any of them, and I have so many they now take up an entire shelf on my bookcase, double stacked. I soon realised I was running out of SK books to read, and made the decision to branch out! I had no idea what I was missing out on all those years. There are so many fabulous authors out there; it’s difficult to know where to start. I admit now, I’m a bit of a cover snob. For me, a cover is a make or break deal. If the book has a beautiful cover, I am more likely to buy it. Three purchases I can think of where I solely bought the book based on the cover are: Fallen, by Lauren Kate, The Iron Witch, by Karen Mahoney, and Die For Me, by Amy Plum. With all three I didn’t even read the cover blurbs. I just knew I had to have those beautiful covers in my house. For the past few years I’ve found my home in the Young Adult genre. 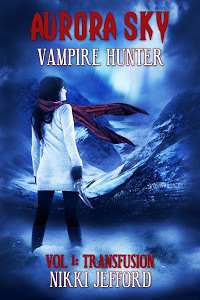 I am a bit of a YA junkie, obviously with a preference towards fantasy and paranormal. I love my vampires and angels, and I will pretty much read anything on this subject. When I decided to self-publish Fall For Me, I thought I better do some research and read some books by other self-published authors. Most self-published books are hard to come by in mainstream brick and mortar book stores, so when I got an iPad for my birthday this year, I downloaded the Kindle app and started to have a look around. Now I’ll get back to my love for beautiful covers (there is a point to this post, I promise!). 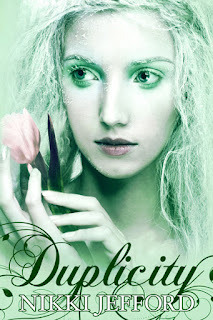 Enchantment is due out Spring 2013 (in America) so sometime between March and June. You can grab your own copy of Aurora Sky from Amazon for only 99c! But hurry as this offer ends December 28th. If you are interested in purchasing any of Nikki’s work (which I highly recommend) just click the image then follow the buy links on her blog. Please support her and other Indie authors. 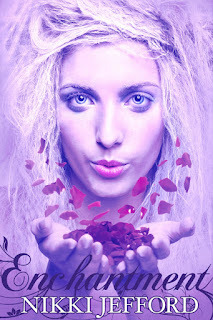 Cover art for Nikki's books by Najla Qamber Designs. 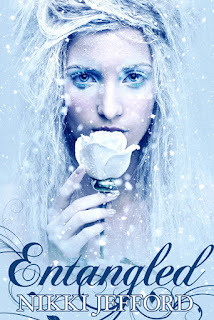 So grateful Entangled "magically appeared" during your search for e-books...and for the chance to "meet" you online. You are awesome as usual! I double-stack, too. (Not any more as most all my books are still in boxes in Alaska.) And I LOVED Baby Sitter's Club with all my youthful heart! And extra funny - I grabbed Fallen off the display shelf at the library without reading the book description. The cover was just so gorgeous. I loved what was inside, too!